Meetings are every Thursday from 12:00 pm noon to 1:00 pm at the Portage Restaurant, 191 King Street, in Chatham. So! On Friday, November 2nd is “Kick-Off Day” for the Rotary Club of Chatham Annual Pyjama Drive! Committee members will don their PJ’s and Santa hats and visit all dealerships on that morning! 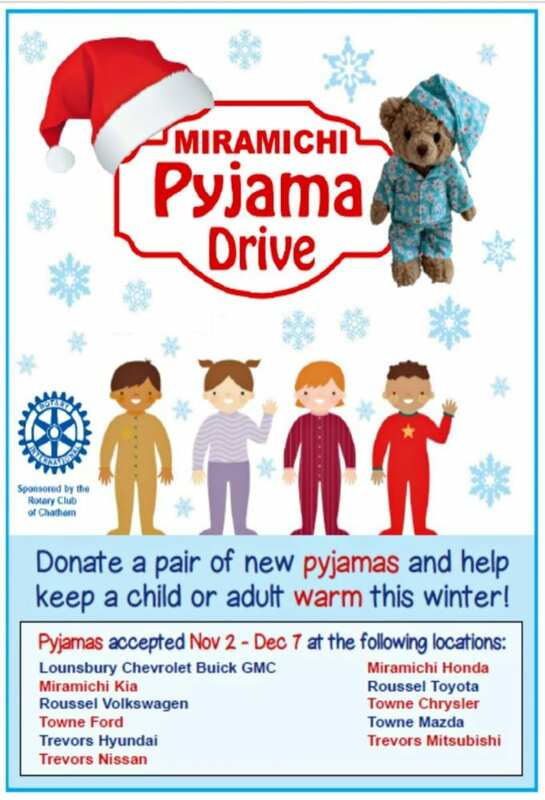 Each dealership will have their Drive kick-started with 10 pairs of pyjamas from the Rotary Club of Chatham ranging from Children’s Sizes to Adult XL.